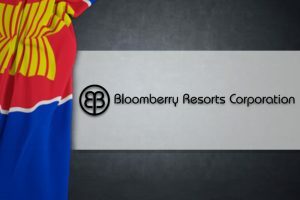 Two units of Philippine hotel and casino operator Bloomberry Resorts Corp. have secured a PHP40 billion (approx. $767 million) loan to fund the construction of an integrated resort in Quezon City, the company said in a Monday filing to the Philippine Stock Exchange. The two Bloomberry subsidiaries that have been extended the loan are Sureste Properties Inc. and Bloomberry Resorts and Hotels Inc. They have signed an omnibus loan and security agreement to obtain a 10-year combined loan facility with seven banks. Bloomberry said Monday that the funds will be used by the two companies to partially fund the “design, construction, and development of an integrated hotel and gaming resort” at Vertis North Complex in Quezon City, Metro Manila. Construction of the integrated resort is expected to commence in mid-2019. The property will occupy a 1.5-hectare site within Vertis North which Bloomberry acquired from the Philippine National Housing Authority back in 2015. The new property is anticipated to open doors in 2021 or 2022. 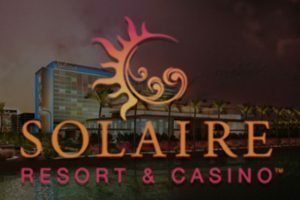 The hotel and casino operator currently manages Solaire Resort & Casino, a $1.2 billion integrated resort that opened doors in 2013 along the Bay City area of Parañaque, Metro Manila. The property was the first of four integrated resorts within the so-called Entertainment City, a multi-billion development project approved by the Philippine government as part of its strategy to enhance the country’s tourism product. Bloomberry announced plans to extend its portfolio of properties last summer. The company said back then that it would build a hotel and casino resort in Quezon City and that the property would operate under the Solaire brand. Bloomberry was yet to secure funding for its future hotel, gaming, and entertainment complex at the time. The company said back then that it would present a master plan in January 2019. The gaming and hospitality company is owned by Philippine businessman Enrique K. Razon. Mr. Razon has been cited saying that they intend to develop a high-rise property in Quezon City as the portion of land they own there does not allow for a sprawling property. The new resort will include a hotel, a casino, and multiple food and beverage and entertainment facilities. Bloomberry has said previously the property will cater to the mass market. As mentioned earlier, the Philippine company currently manages Solaire Resort & Casino in Manila’s Entertainment City. The property features 800 hotel rooms, suites, and villas, a casino, dining and entertainment areas. Bloomberry also owns Jeju Sun Hotel on South Korea’s Jeju Island.